Between 1918 and 1932 the spectacular Great Ocean Road was constructed using the labor of Australian soldiers newly returned from the First World War. 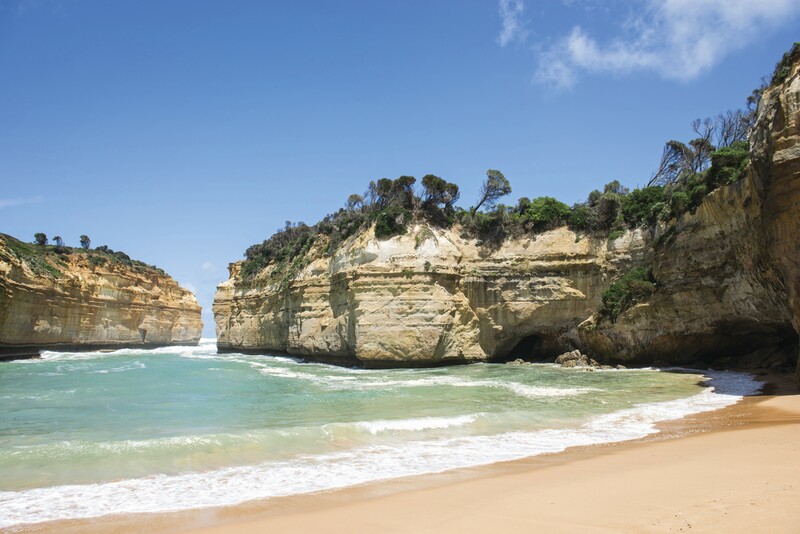 While traveling along this dramatic winding road you will pass through Port Campbell National Park and discover The Twelve Apostles, rock structures soaring from the swirling waters of the Southern Ocean and one of Australias most recognized natural features. If you would rather not drive this demanding road we have the perfect guide for you who will show you the awesome sights, fill you with the local history, stand with you on cliffs that are over 200 feet tall while you gaze at rock stacks up to 130 feet tall. Along the way he will introduce you to the locals. Kakadu National Park, located 160 miles east of Darwin, in Australias Northern Territory is the largest National Park in Australia and has been awarded a World Heritage listing. Adjacent to Kakadu National Park lies a vast subtropical savannah that has been described as a national treasure trove depicting ancient human occupation and a pristine wilderness area hosting myriad ecosystems and wildlife inhabitants. 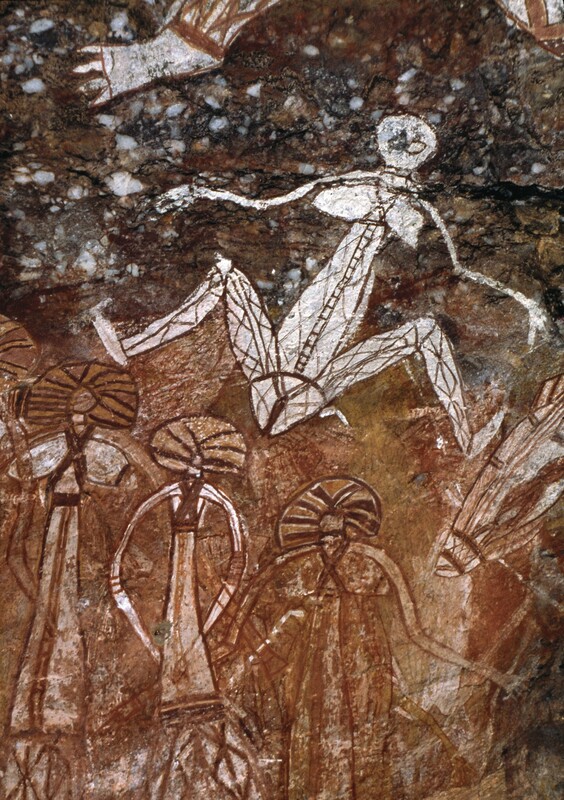 The Aboriginal association with the land is constantly on display in Kakadu National Park where richly descriptive rock paintings from 50,000 years ago depict events of the distant past. Let us send you to this ancient area where your hosts, Max Davidson’s passionate devotion to the area and its people has developed into a relationship of trust and respect with the traditional owners. Their association has resulted in an unchallengeable, in-depth knowledge of the history and traditions of the area. 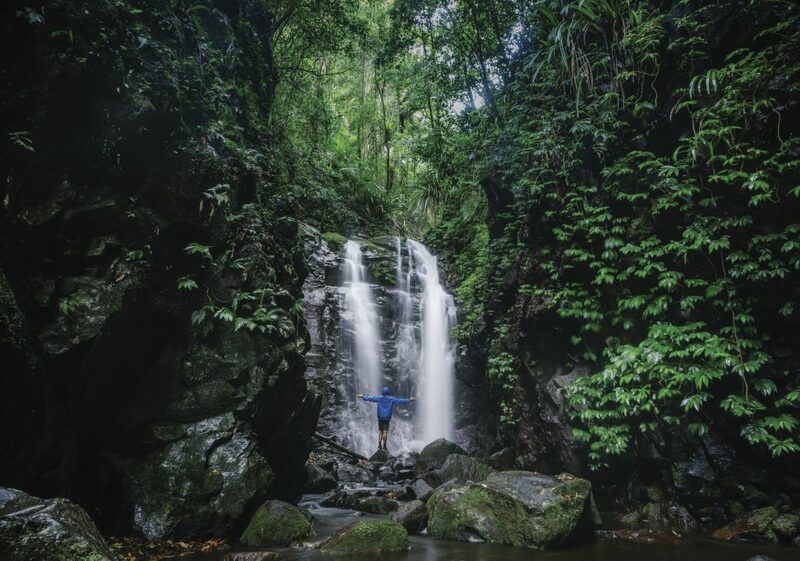 Perfect for the walker, Lamington National Park is situated in the Gold Coast Hinterland. The park has more than 100 miles of walking tracks that will lead you to majestic rainforests, beautiful sub tropical flora, gurgling streams, cascades, waterfalls, wind eroded caves in volcanic cliffs, breathtaking look outs and friendly and inquisitive birds and animals. Cradle Mountain in Tasmania is a World Heritage Site that forms the northern end of the wild Cradle Mountain-Lake St Clair National Park. In this area you will see the face of creation all around you in the mirror lakes and rugged mountain peaks. You will feel humbled by the 1,000-year-old towering presence of a King Billy Pine that is still a relative newcomer to these ancient forests. 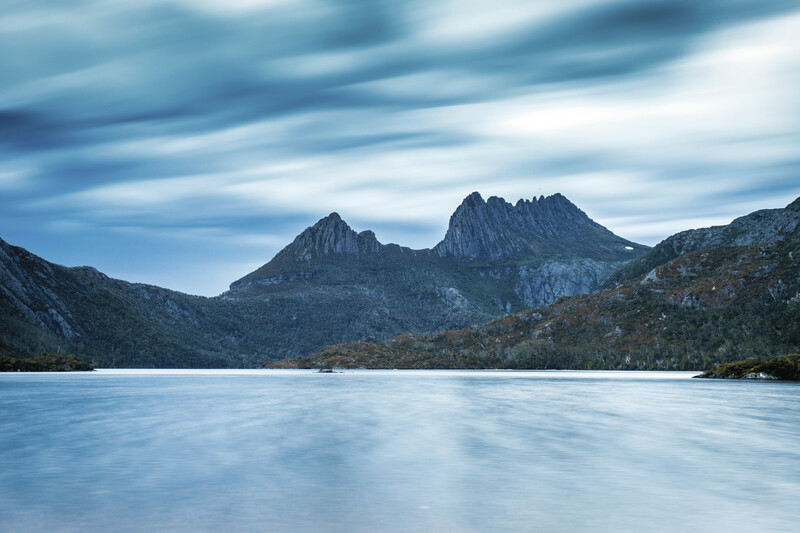 You will find great beauty in the jagged contours of Cradle Mountain, the alpine heath lands, button grass and stands of deciduous beech. We will include accommodation at a local lodge where you will be able to spend several days exploring the breathtaking area. You might prefer to join one of our specialist guides on a hut-to-hut hike. 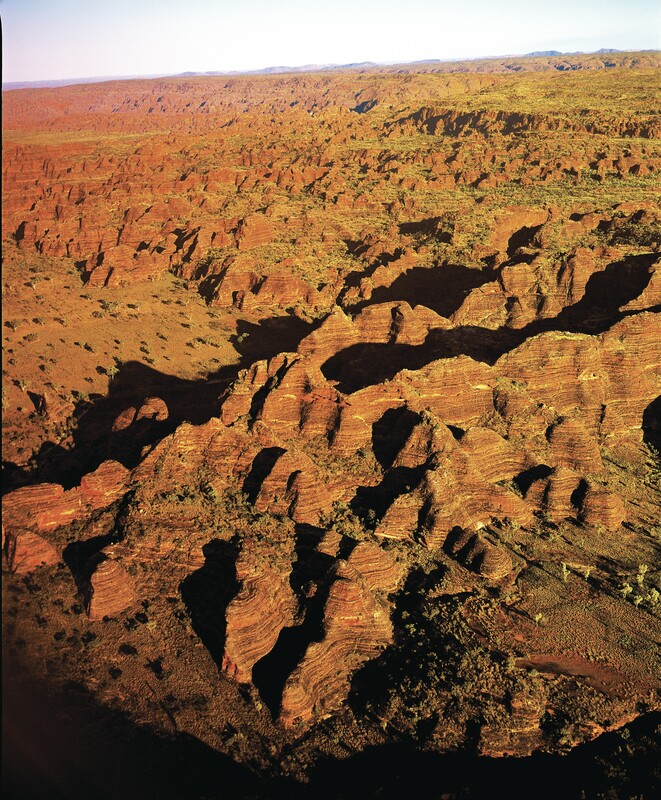 The incredible tiger striped, orange and black beehive like mounds rising up to 980 feet make The Bungle Bungles, in Purnululu National Park, a fascinating geological landmark. Although few Europeans knew of its existence until Aboriginal people used the mid 1980s The Bungle Bungle Range in Western Australia extensively during the wet season, when plant and animal life was abundant. The immense beauty of this national park can be viewed y 4X4 vehicle or from the air via light aircraft of mustering helicopter. It is from the air that the hidden world of gorges and pools is revealed. Fan Palms that grow nowhere else in the world cling precariously to walls and crevices in the rocks. An adventure in the Bungle Bungles creates long lasting memories of truly a remote wilderness experience. You MUST go! In the year 2000 UNESCO awarded The Blue Mountains area a world heritage listing based upon its outstanding natural value to humanity and the pristine environment that provides protection for an unusually diverse range of rare and ancient vegetation communities and isolated animal populations ensconced in its deep gorges. 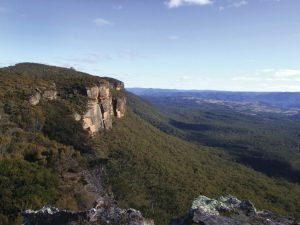 Our special guides will take you to view The Three Sisters and the Jamison Valley, an iconic site of this vast and special area.